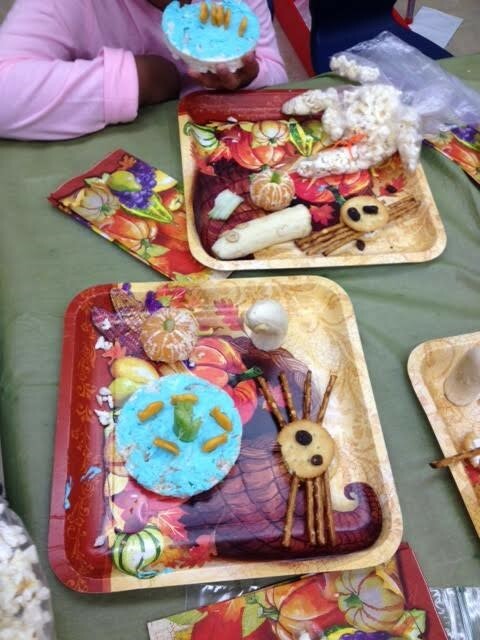 Kindergartners at Foothill school got to experience Halloween fun and celebrate healthy food with a Healthy Halloween Celebration. Mrs. Vigil, a kindergarten teacher, was new to Foothill and to the UCCE EFNEP Youth nutrition education program when she had the idea to hold a healthy Halloween for her students. With the help of parent volunteers, food donations, and UCCE nutrition educators, students came dressed in their finest costumes to enjoy a healthy Halloween. They received a nutrition lesson and listened to a story, and then the real celebration began! 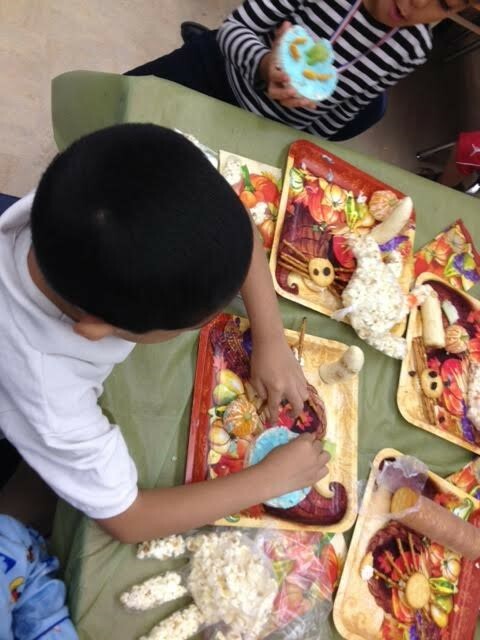 Students created cracker spiders, mandarin pumpkins, banana ghosts, rice cake fish bowls, and popcorn hands.